PC component manufacturer GIGABYTE have been pushing exceptionally high-performance hardware in the PC market in recent months, including water-cooled motherboards and NVMe SSDs, but one shouldn't forget that they also have a complementary peripheral range. 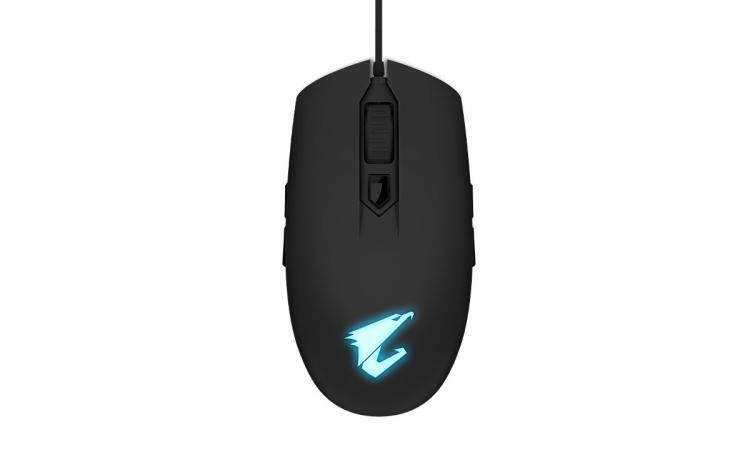 Also sold under the AORUS gaming brand, these peripherals are relatively small in number but long in style. And it's in this group that a new mouse, the AORUS M2, debuts this week. 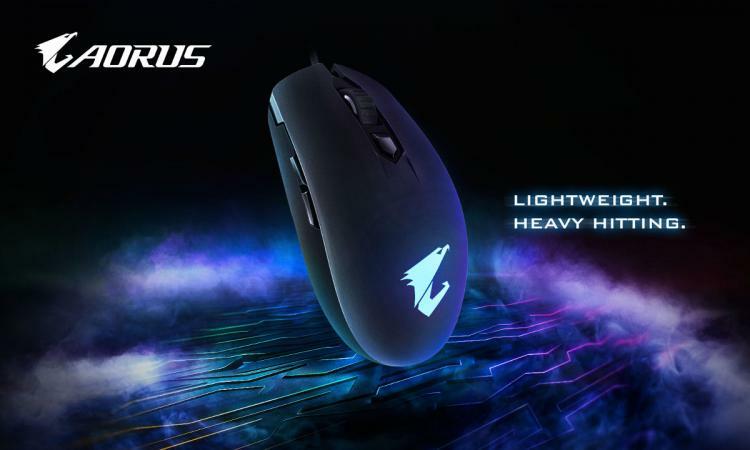 While previous AORUS M-series mice incorporated an ergonomic right-handed layout, the M2 is an ambidextrous mouse that's symmetrical down its vertical axis. Immediately this puts you in mind of more 'nuts and bolts' models competing manufactures orient towards competitive gaming, and such is also the case with the M2. The external shell may appear to be nondescript, but internal components are anything but. A Pixart 3327 6200dpi optical sensor is certainly sensitive enough, and 100dpi sensitivity increments should help with fine-tuning it to exacting requirements. OMRON switches are always a sign of quality too in a mouse built to last seeing as they're rated for 50m clicks. And of course 1000Hz polling support (USB) is something of a must in this day and age. A 32-bit ARM-based processor is built into the design to reduce latency, but it doesn't appear that on-board profiles are supported. Profile and macro support is likely through software. The M2's button layout is fairly standard: two main buttons, a scroll wheel, a DPI selector and a pair of thumb buttons. Of course, as an ambidextrous mouse this pair of thumb buttons are mirrored on the right hand side, making it a model suited to both left- and right-handed gamers. A mid-sized mouse length of 117mm lets most owners use either palm or claw grips, but in fairness that aspect will be very much a case of personal taste (and hand size). A central button below the scroll wheel serves as sensor DPI selector, switching between default or use-programmed DPI levels. 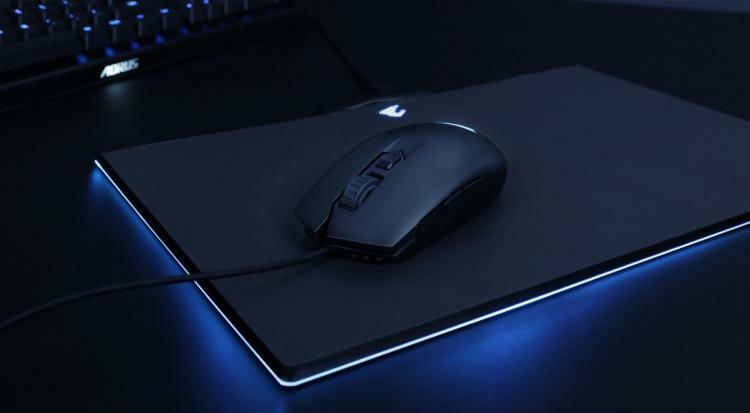 A small amount of customisation is possible via the illuminated AORUS logo, which is configurable via software and conforms to GIGABYTE's RGB Fusion 2.0 RGB LED lighting system. But, apart from that, the M2's sleek and light-weight design clearly indicates its esports aspirations. More information is available at https://www.aorus.com/product-detail.php?p=909. GIGABYTE have yet to indicate the AORUS M2's MSRP.